A well proportioned one bedroom apartment situated on the fifth floor of Henke court. The property offers open-plan living with beautiful water views across Atlantic Wharf and Cardiff Bay. The accommodation briefly comprises of entrance hallway, living room with kitchen and Island, double bedroom and bathroom. The property benefits further from balcony, allocated parking and concierge. Henke Court is ideally positioned moments from Cardiff Bay and the city centre and is a perfect purchase for first time buyers, buy to let (£675) or simply as a pier-d-terre. A stunning investment opportunity on one of Cardiff’s most sought after tree lined roads. Positioned close to the City Centre and Cardiff University this Victorian conversion has a, 4 x 2 beds and 1 x 1 beds. The property achieves a yearly income of £31,500 and an annual yield of 5.7%. The property benefits further from parking for up to ten cars to the rear. Beautifully presented apartment finished to a high standard throughout, with bespoke kitchen fitted with top of the range appliances, vaulted ceiling to the lounge with exposed beams, two double bedrooms and modern bathroom. 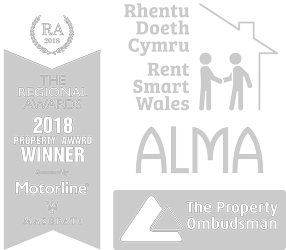 Located in the heart of Pontcanna within close proximity of local boutiques, eateries and wine bars and within close proximity to Sophia Gardens. ***WATER VIEWS***IDEAL FOR FIRST TIME BUY OR INVESTMENT*** A well appointed studio apartment located within the desired Prospect Place. Accommodation briefly comprises, hallway, open plan living/sleeping area, kitchen and shower room. The property further benefits from the onsite amenities of the development such as 24 hour concierge, allocated parking, a swimming pool, Jacuzzi and gymnasium. There is also the convenience of nearby public transport and supermarkets. ** PERFECT FOR FIRST TIME BUY / INVESTMENT ** A light and bright one bedroom apartment with allocated parking situated on the 4th floor of Marseille house in Century Wharf. The accommodation comprises of entrance hallway, kitchen with living room and bathroom. The property benefits further from ample storage, river views, 24 hour concierge and onsite leisure facilities. The property is an ideal purchase for a first time buyer, buy to let investor (£700 per calendar month) or simply as a pied-a -terre. Century Wharf is located just off Dumballs Road and is a perfect location for easy access into the City Centre and Cardiff Bay. Cardiff Bay offers a variety of bars, restaurant and cafes as well as beautiful water views. There are a scarcity of quality one bedrooms available and early viewings are encouraged Call Keylet Sales Team to book on 02920 489000. 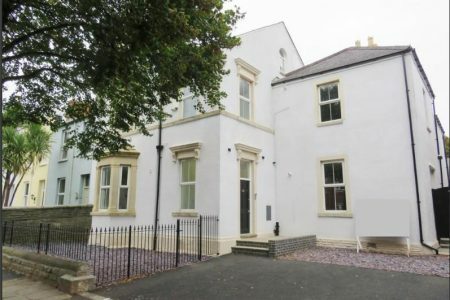 **PERFECT INVESTMENT **A stunning double bay fronted end of terrace HMO property situated on Robert Street in Cathays. The accommodation comprises of entrance hallway, living room, kitchen and bedroom to the ground floor with a further two double bedrooms and bathroom to the first. The property benefits further from an enclosed rear garden. Situated at the top of Robert street and moments from Cathays Terrace, Crwys road and Whitchurch road the property has a monthly income of £930 per calendar month. The property is an ideal purchase for investors or owner occupiers. There are a scarcity of properties offering such potential and early viewings are encouraged. A well positioned detached six bedroom HMO situated just off City Road and within walking distance to the Golden Triangle. The property is currently let for £1,740 per calendar month and has a HMO in place till 2020 achieving £20,880 with a 6.9% yield. The accommodation is set over two floors including entrance, living room, kitchen, two bathrooms and two bedrooms to the ground floor with a further four bedrooms and WC to the first. There is a real shortage of quality HMO’s in the area and early viewings are encouraged. Keylet are pleased to offer for sale this rare & superbly maintained apartment within this exclusive and prestigious development. Empire House a Grade II * listed building is full of history and has it’s roots firmly embedded in the coal industry that made Cardiff the Capital City of Wales. Accommodation briefly comprises: communal entrance with marble floor, cornicing along with feature lift cage, private hallway, open plan living area with superbly appointed fitted kitchen with integrated appliances, “Porcelanosa” fitted bathroom, concierge service, on-site gymnasium, gated parking space, video intercom entrance system, internal bicycle store and a function room. Viewings strictly by appointment with Keylet on 02920489000 (option 1). Investment opportunity in the heart of the Golden Triangle in Cathays A mixed use commercial/residential property with an annual income of £16,500. The property has a three bedroom flat above with the commercial unit.